RYCHRIS JOURNAL.COM is the official website of Rumishael Ulomi aka RyChris, a freelance Christian Consultant based in Moshi, Tanzania working mainly in areas of Social Sector Development, Nonprofit Community, Entrepreneurship, and Business. Rumishael inspires vocation as a gift from God, Social Change for community development, and the Christian Faith as Hope for the future. 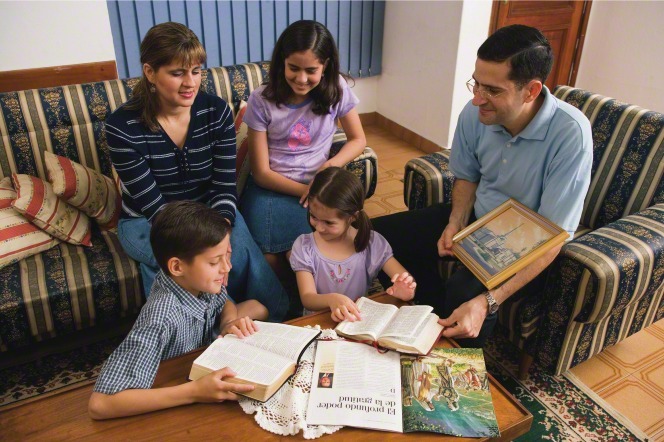 Did you know that parents can learn so much from their children if Sunday school teachers get the gospel roots of those young ones deepen in the word of God? I have found this to be true and working so well. If you want to engage parents into biblical discussion with their children its best to give the kids some bible verse to memorize and ask them to ask their parents if they can help them memorize those bible verses. In the process of helping their kids memorize those bible verses, the parents get to learn so much from God’s word, as well as learning so much from their kids. Sometimes parents can be so busy to the extent of failing to get a chance to pick up the bible and read it. They come from work so stressed out, and for most times they are tempted to skip personal or family bible reading and prayers jumping straight to bed, however if kids are there to ask them to help with bible verse memorization, the parents are going to engage in, which then leads them to curiosity and ensure that at least the parents get a chance to read and learn. When this takes place is when we come to realize the importance of Sunday school teachers in the lives of those parents. Kids can be really good evangelists if they are rooted well in the word of God. I have come across kids who can evangelize and share God’s word far better than adults can. Kids are not ashamed by the gospel. If children are rooted well in the gospel, it will help them become better evangelist in the future as they grow up. Sunday school teachers have such a huge responsibility on their shoulder. If our kids are rooted in the word of God, they are going to make a better generation in the future as it says in (Proverbs 22:6, Train a child in the way he should go, and when he is old he will not turn from it.). Let us raise them in the ways of the Lord and when they grow up they will never walk away from it. Kids are never ashamed to share the gospel, if well taught; they proclaim it and find pleasure in doing so. If we train our kids in the ways of the Lord they are going to become far better witnesses for Christ. I have seen Sunday school kids lead their parents to Christ. I have heard so many testimonies from parents all testifying how they have come to learn so much about Christ through their kids. Kids can impact the lives of their parents. Kids can contribute in the development of God’s kingdom; let us train them well in God’s word. God has a purpose for the kids He has given us and that purpose is to reflect and serve Christ despite the age. Therefore, if we give Christ to our kids, we will find that we have so much to learn from them. Sunday school teachers can play a very important role in the lives of these kids’ parents, so let us teach these kids well in the word of God. If we give these children a word to reflect on throughout the week, the parents will also engage in, which will be a good method to nurture both parents and kids in God’s word. Let us learn from our kids, and let us take time to teach them and grow them in Christ. Let us grow up disciples for Christ. Let all of us Christian leaders see this and learn from it. Rumishael Ulomi is a Freelance Christian Consultant, Life Coach, and Motivational Speaker in the areas of Christian Ministry, Business, Entrepreneurship, and Social Sector development residing in Moshi,Tanzania. Every resource on this site was made possible through the financial support of people like you. With your support of any size, I am enabled to keep this site running, continue sharing insights, and equip community level entrepreneurs, social groups, CBOs as well as the whole Christ centered community with high quality content that enables them to impact lives in a meaningful way. Donate today and together we can continue delivering innovative and life changing solutions in Ministry, entrepreneurship, and the social sector development. To make it even easier to reach me, I have provided you with phone numbers and e-mail information allowing you to reach me faster than ever. I am always open and ready to help you with anything that you might need!Give me a call, send a general message, or tell me about a project you would like me to help with. This site inspires vocation as a gift from God, Social Change for community development, and the Christian Faith as Hope for the future. Copyright © 2018 RYCHRIS JOURNAL.